If you read my Top 15 of 15 you might have seen this product sneak in-which is pretty impressive considering it's a product I only bought on the 11th December. I'm going to be honest-discovering this product has done wonders for my online presence. 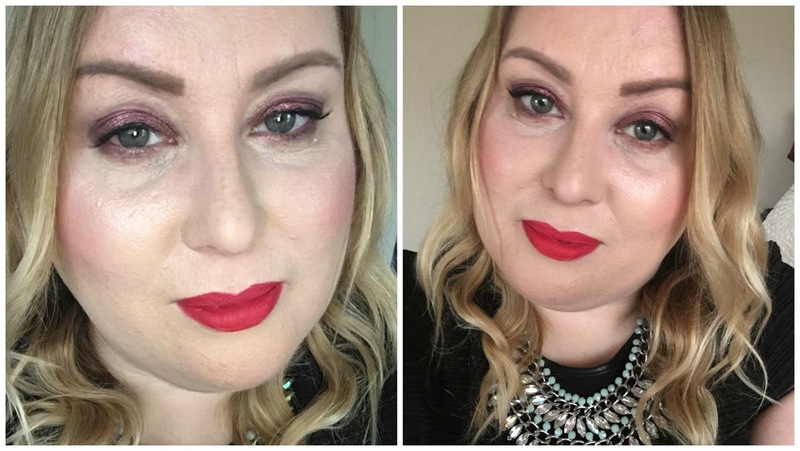 I don't want to sound like I am being big headed but when two big beauty bloggers try it on your recommendation and link your blog into their post your views go through the roof! So a massive thank you to Laura and Adrienne for their reviews! I was so wowed by this filter/primer from the second I tried it that I bought more and gave them to my best friend Dani, Tasha, Laura, Laura and Lis, plus my assistant Chloe. All of them really like it. So many people tweeted me or snapped me or commented on instagram that after seeing Laura's blogpost and my instagram they bought it and their feedback was also great. So yey! Ok so although Laura and Adrienne have done a fantastic job reviewing this and basically covered all bases, here is my take on it. I bought it from Look Fantastic after seeing it was a primer that specifically made your skin look better in photos. That to me sounded like an instagram filter for the face and when I presented it to the Laura's and Lis on a night out in Dubai late December that was my sales pitch. The 'fluid' comes in a glass bottle with a dropper-it's very apothecary in style but the packaging is the products only major flaw. The fluid is just too thick to be dispensed from a dropper-I just use it to swipe the product on my face. The fluid is pale gold in colour and is quite thick without being sticky or tacky or oily. It doesn't feel silicone based either. I use it as a primer after moisturiser and before foundation and it dries immediately. On me, it definitely adds a huge amount of luminosity and it evens out my skintone-neutralising the redness I get around my nose especially. My foundation sits so well on top of this-especially if I dab on with a damp beauty blender. My friend Antonia describes this in the best way. In her very own words "think Edward Cullen as he hits a ray of sunshine". My skin has been absolutely terrible recently but this product really does make a difference. The below two photos were taken on Xmas day, with my iphone front facing camera and have no filter on them. I feel like it just evens over everything, its glow without shimmer and just makes you face catch the light in all the right places-especially in photographs. I love it and I am not alone. Thank you to everyone who told me they bought it and love it-that for me is the absolutely best part of blogging!